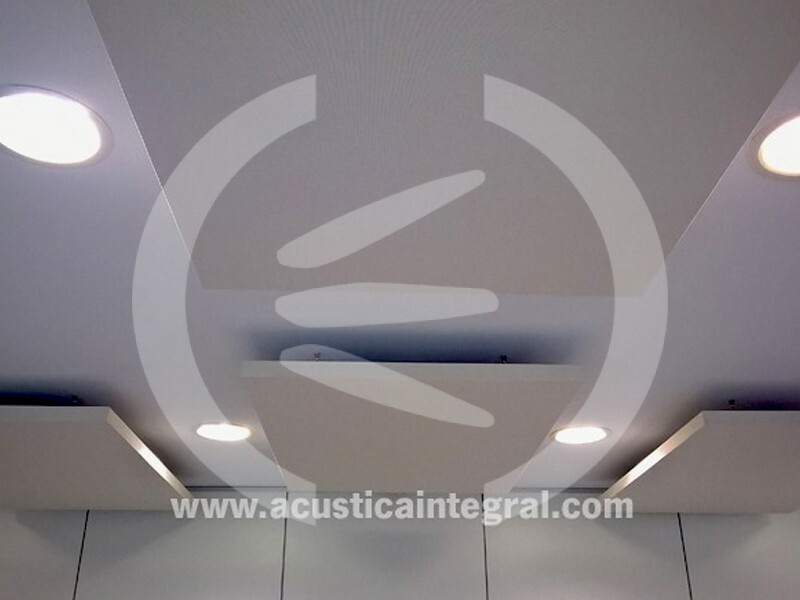 Project: Acoustic conditioning university offices. Hanging by using our Standard Fixing Kit. 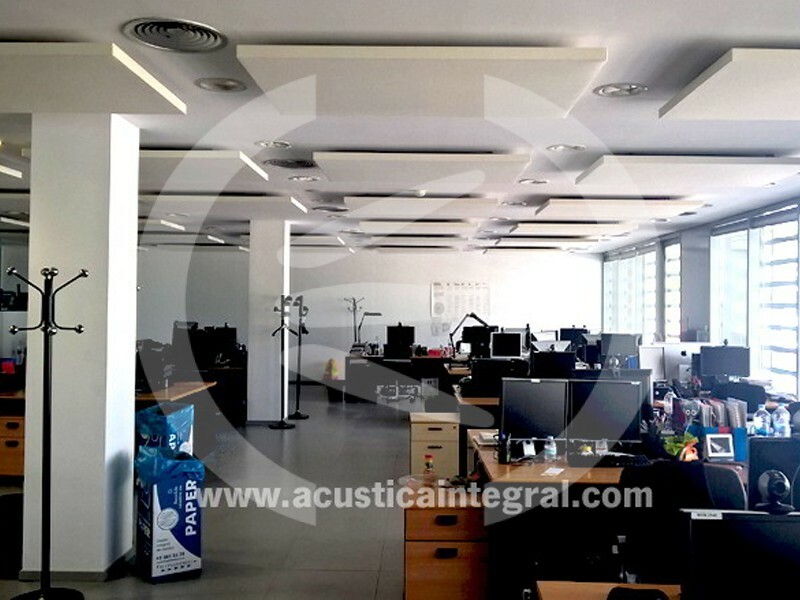 Acústica Integral has performed the acoustic conditioning in the customer service offices at a university in Catalonia. The overall background noise was controlled by means of the Acustiart systems. 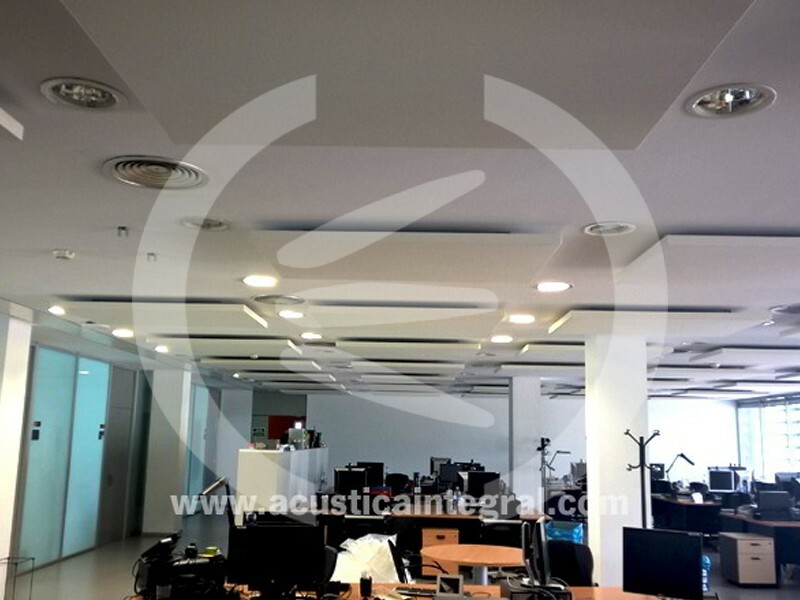 The use of acustiart systems to control the background noise levels is currently a frequently used method, given that this type of system enables an adequate integration in offices without the need to undertake renovations. 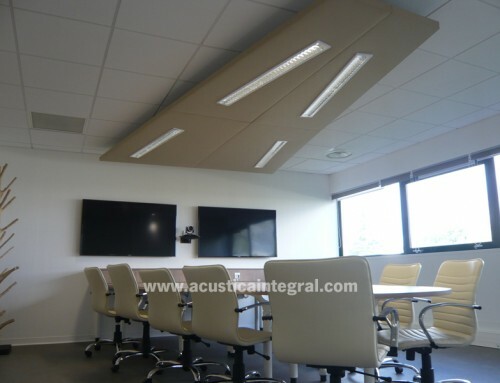 Acoustic islands can be easily installed on the existing ceiling grids. The possibility of controlling the mounting height with regard to the noise emitting and receiving sources significantly helps the absorbent efficiency of this type of acoustic systems, as acoustic islands enable the absorption on both sides of the products, generating an improved absorbent effect opposite the traditional products directly fixed to the existing surfaces. The possibility of choosing the sizes, colours and shapes make acoustic islands elements to be considered when treating with absorption in noisy environments, facilitating an adequate acoustic comfort to develop the activity without disturbing or being disturbed. The use of polyester-based absorbent materials make acoustic islands suitable elements to be installed in premises for public use. 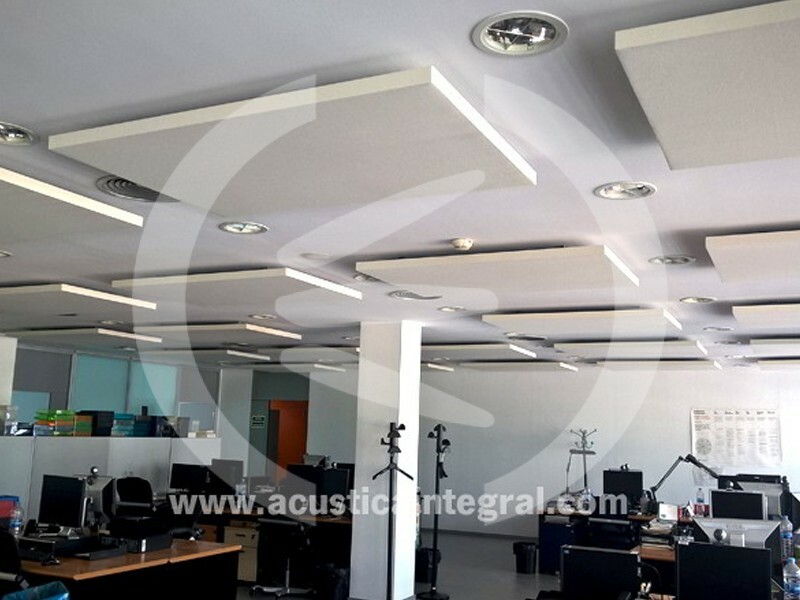 Acoustic islands are highly valued by architects due to their versatility, ease of assembly, variety of finished and shapes, and the absorbent capacity to control the reverberation in premises, in keeping with their aesthetics.